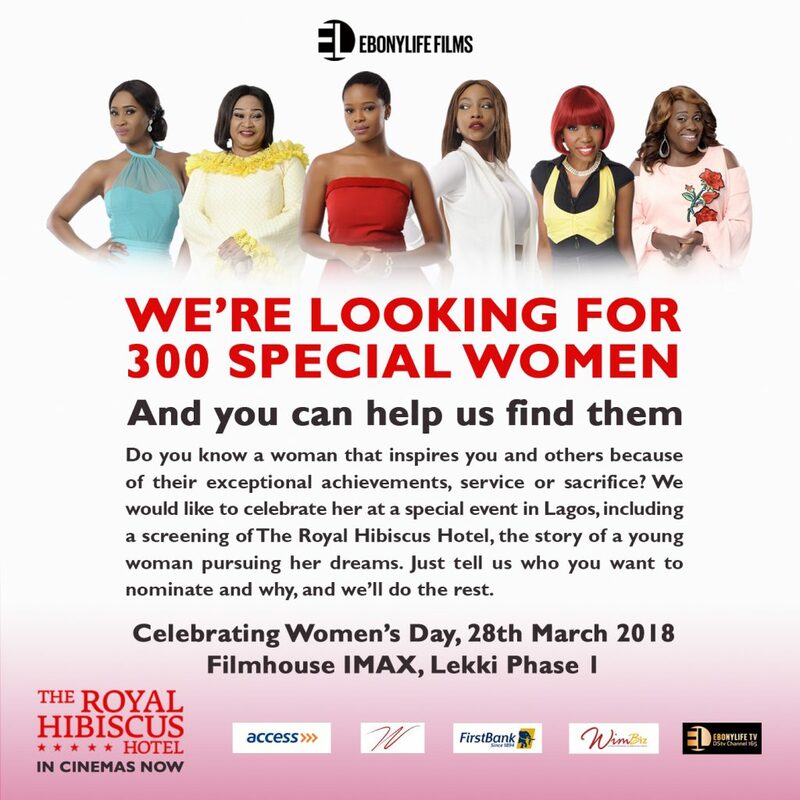 Lagos, 12 March 2018 – In celebration of this year’s International Women’s Day, EbonyLife Films, producers of Fifty, The Wedding Party and The Wedding Party 2, will screen its latest movie, The Royal Hibiscus Hotel (RHH) on March 28. The event is being held to honour 300 women who have been nominated by the public for their dedication, sacrifice and inspiration in different walks of life. 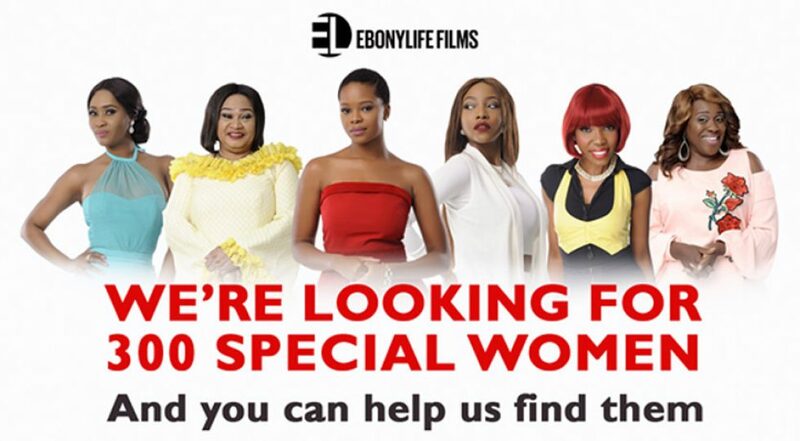 Audiences are encouraged to visit ebonylifefilms.com/international-womens-day to make their submissions. Nominations end on March 23. The event is being organised in collaboration with WimBiz, First Bank of Nigeria, Access Bank (the ‘W’ Initiative) and other corporate partners, under the theme, ‘Finding your passion and purpose’. 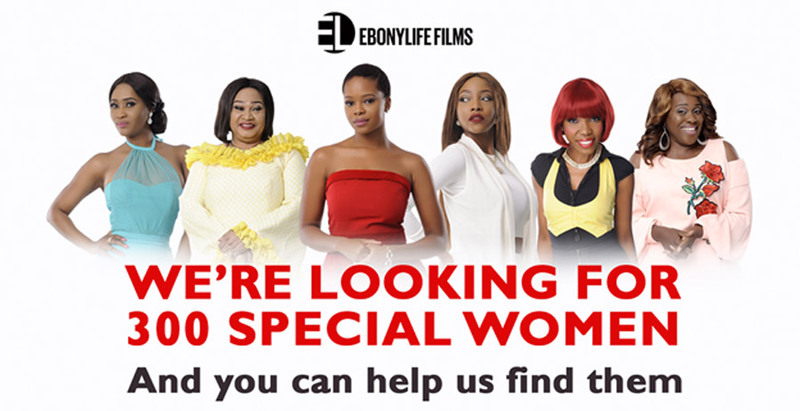 Mo Abudu, CEO of EbonyLife Films, is excited and looks forward to meeting these extraordinary women on the 28th. “This screening is our way of pampering these women and celebrating them for the hard work they do every day. RHH is a special movie and it is a delight to share it with special women,” she said. RHH has something for everyone and the guests at the upcoming screening are sure to find moments of connection to one of the main characters of the film, Ope, a struggling Nigerian chef in London who moves back to Lagos and discovers that life can be unpredictable.